Spring is in the air—and water. Spring fishing produces some of the best trout, bass, salmon and other varieties of fish. But, as our mothers taught us growing up, it’s what’s on the inside that counts. 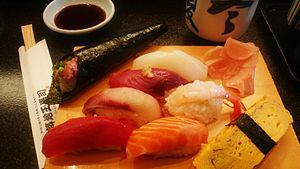 Most people are familiar with roe being exclusive to sushi and other Asian cuisine. But, for chefs like Victor Albisu, roe can heighten the flavor and richness of everything from salad to pasta. Chefs are getting creative with roe. Chez Sardine, a trendy new restaurant in New York, uses roe on breakfast pancakes; Il Buco Alimentari e Vineria, also in New York, uses it in spaghetti; Tulio in Seattle complements a tuna and kale dish with roe; and Chicago’s Tru restaurants tops potato chips with it. For the home cook, incorporating roe into a dinner menu is as easy as paying a visit to your local fish market or grocery store. Roe is easy to come by and versatile to prepare. Saute it in butter, add it to eggs and soup, or even roast a whole fish with the roe still intact. There are as many types of roe as there are fish, and this is where your fishmonger can help you choose what will work best with the meal you are planning. Shellfish roe comes from species like sea urchin, shrimp and lobster, which tends to be higher-priced. Fish roe can come from herring, white fish, salmon and other fish. And then there’s caviar, a harder-to-find, specialty roe, which sold for $2,500 per pound on average in 2012. Spring is the perfect time to try something new, so try roe. This entry was posted in Focus on Agriculture and tagged American Farm Bureau Federation, Fill Your Plate, Fish, Fish and Seafood, FoodieCast, New York, New York City, NPR, Roe, Seattle, Sushi. Bookmark the permalink.